Pauline Pfeiffer was the second wife of Ernest Hemingway. 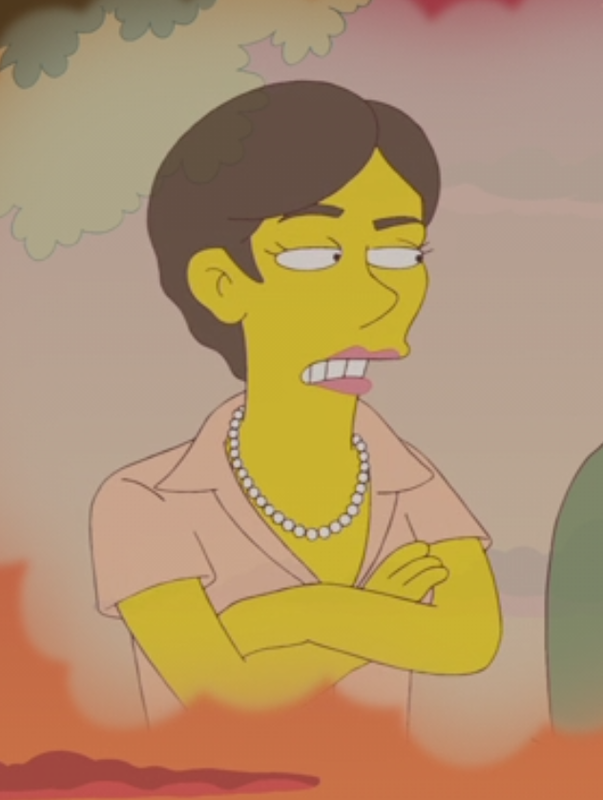 She appeared alongside Hadley Richardson in a daydream of Lisa Simpson's telling her that writers make lousy lovers, which made Lisa think twice about kissing Nick. Pauline Pfeiffer is the real second wife of Ernest Hemingway. Modified on February 28, 2018, at 18:43.